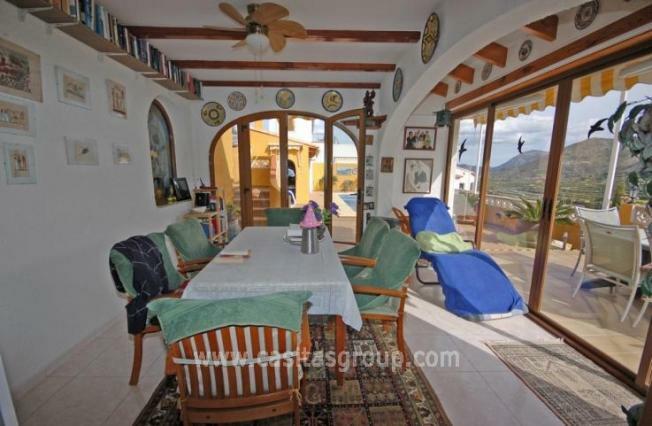 A well located Villa in Absubia, south facing with uninterrupted views of lush countryside to the distant Mediterranean sea. 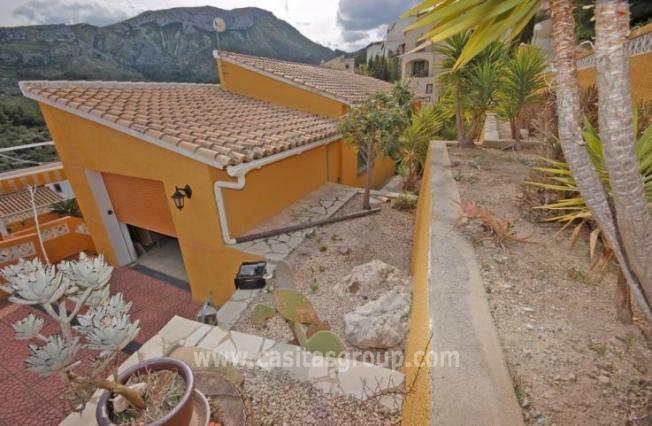 Completely Walled and gated for privacy, this property is entered via a short drive with off road parking plus a Garage, down a couple of steps to the Glazed Naya with ceiling to floor Windows to enjoy the amazing views, the Living Room benefits from Radiators, a feature Gas Fire, AC/CH, leading immediately to a Dining area and on to the Kitchen with top and bottom units, Gas Hob, Oven ,Built in Microwave etc., There are 2 Bedrooms with built-in-Wardrobes in the main house and a Shower Room with 4 piece white suite. 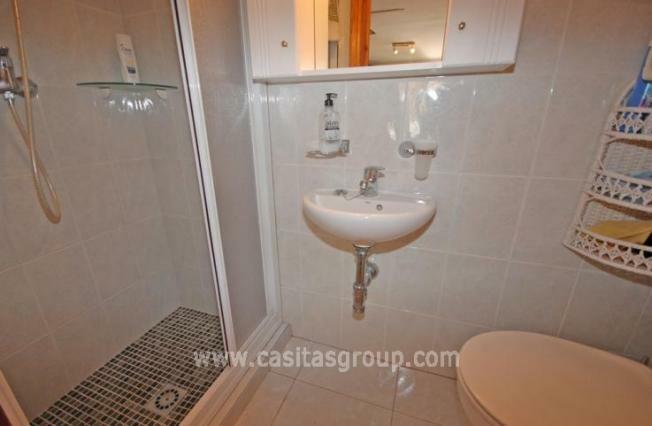 There is a separate Guest Suite with En-suite Shower-Room. 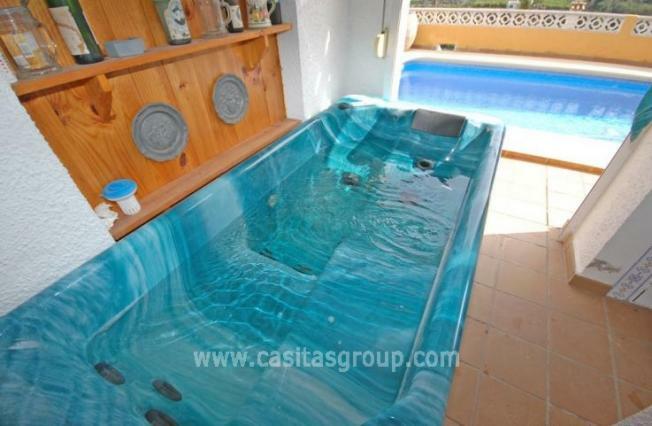 The Swimming Pool is extremely private with a Summer Kitchen with BBQ, just a few steps away from the addition of a Jacuzzi with Shower Room, plus an amazing Sauna Room. 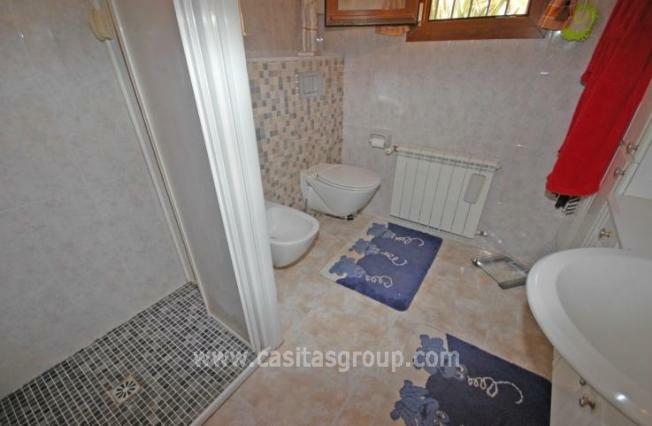 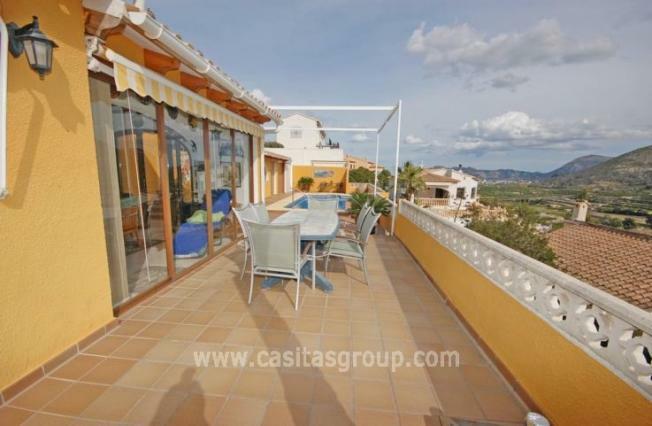 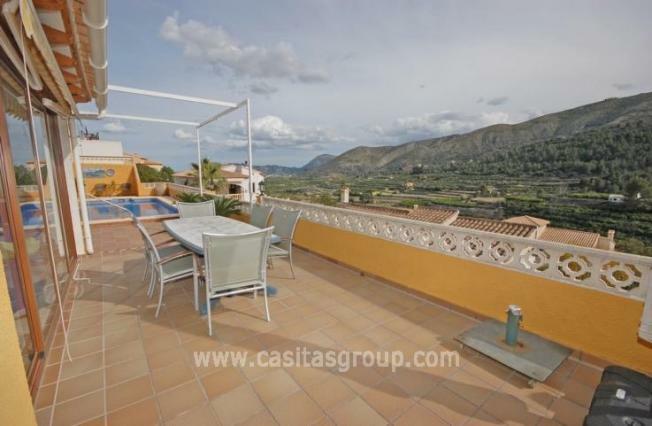 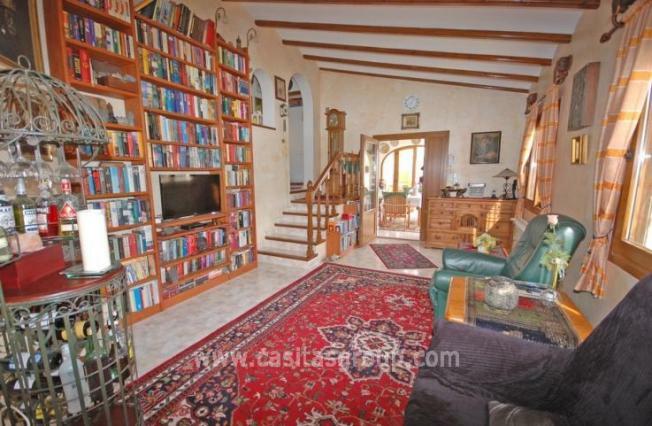 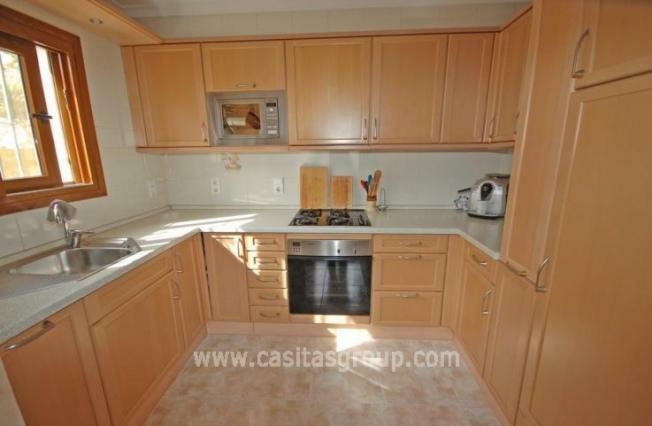 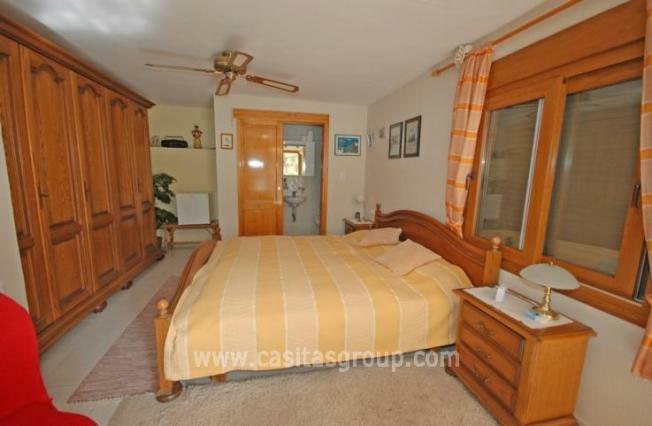 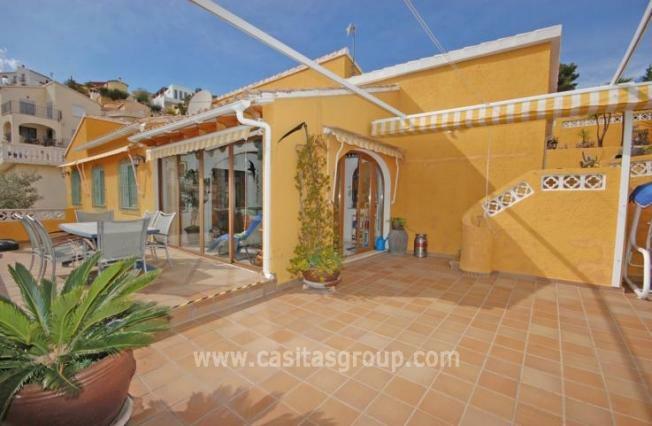 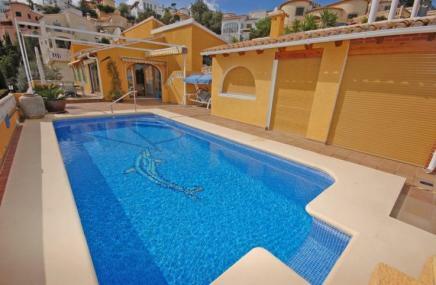 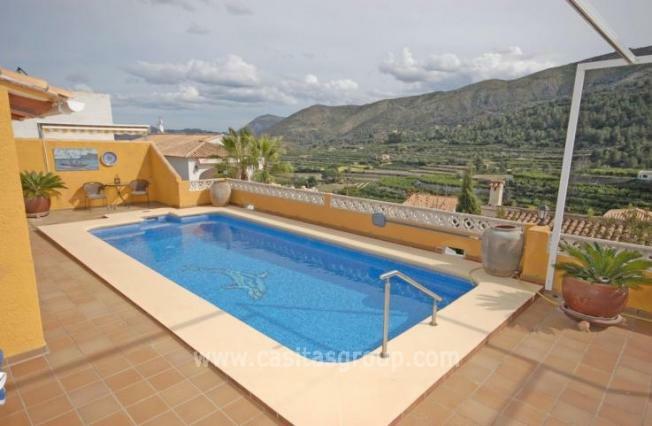 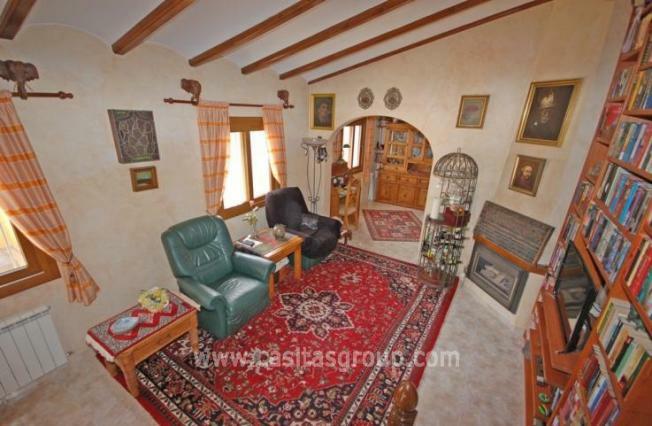 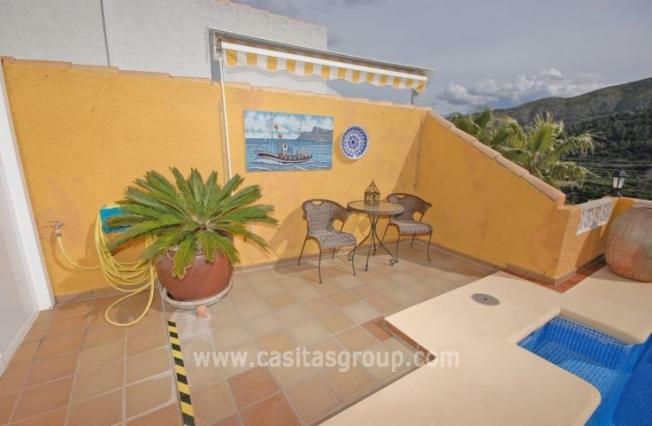 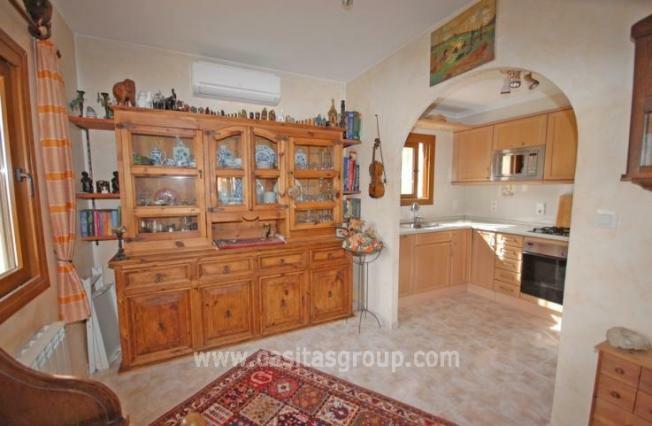 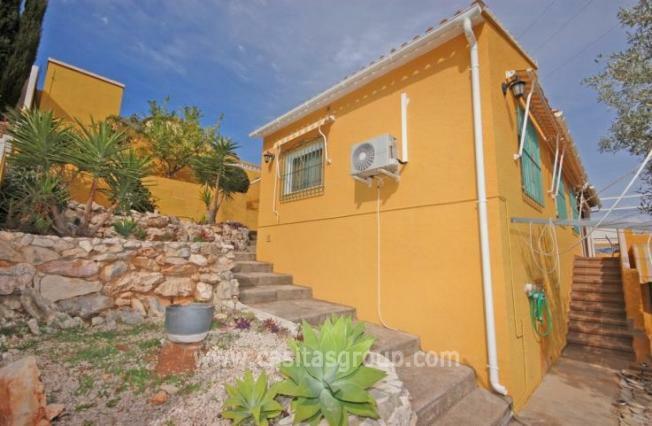 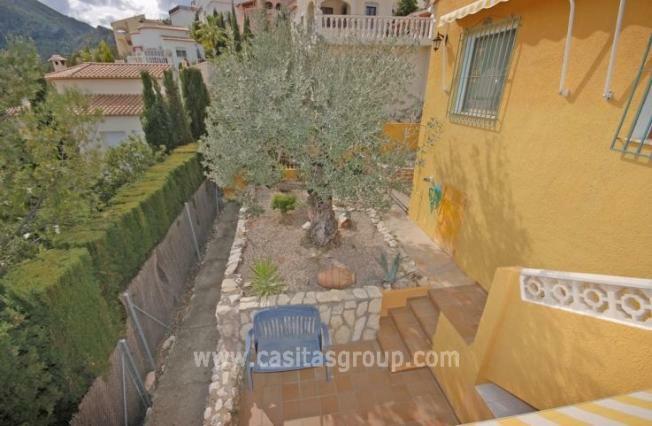 Lots of Store-Rooms and easily maintained gardens make this charming Villa something special!